Continuing professional development (CPD) is designed to develop your expertise within your individual role and help you maintain that edge throughout your career as an ICAEW Chartered Accountant. As an ICAEW member, you are required to maintain and develop your skills throughout your career. You must confirm that you are doing so by making a CPD declaration to ICAEW every year. Unlike some professional bodies, ICAEW don’t dictate how much CPD members must do. There are no set hours or points to attain each year. You simply need to complete as much development activity as you feel is required to remain competent in your role(s). More information on the specific requirements of continuing professional development can be found at icaew.com/cpd. 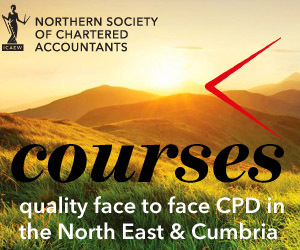 Northern Society of Chartered Accountants (NorSCA) can assist you with your own development activity as we arrange a wide number of technical training courses presented by leading speakers in their field. We also arrange a number of seminars and breakfast briefings on a wide range of topical issues which may be beneficial to our members whether working in business, practice or the not for profit sectors. Our Tyne & Wear and Cumberland branches arrange an annual programme of CPD courses in their areas. Details of forthcoming courses can be found in the events centre.